Part of an irregular series of historical articles called The Bad Old Days, detailing true crimes in Bay Ridge from the 60s, 70s, 80s and 90s. 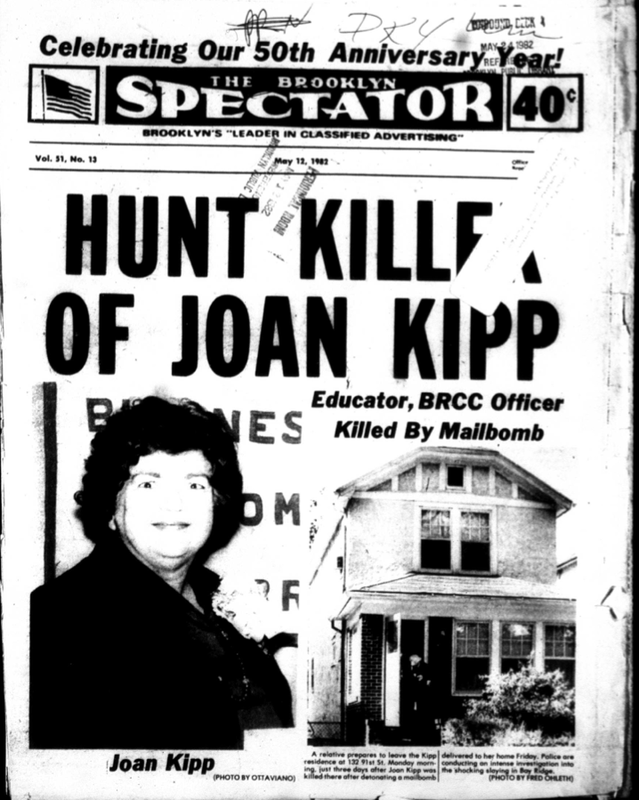 On Friday, May 7, 1982, Joan Kipp went into her kitchen to open the day’s mail. She and her husband, Howard, planned to spend that Mother’s Day weekend out of town, at the family’s summer home on Lake Hayward, in Connecticut, so she had left work early, at 4pm. Minutes later, she arrived home. Joan and Howard lived at 132 91st Street, one in a long row of modest one-family homes likely built by the Narrows Park Corporation ca. 1924–25, across from the high stone walls of the Visitation Monastery; their daughter, Doreen, 31, lived in Connecticut, and their son, Craig, 27, lived practically around the corner. 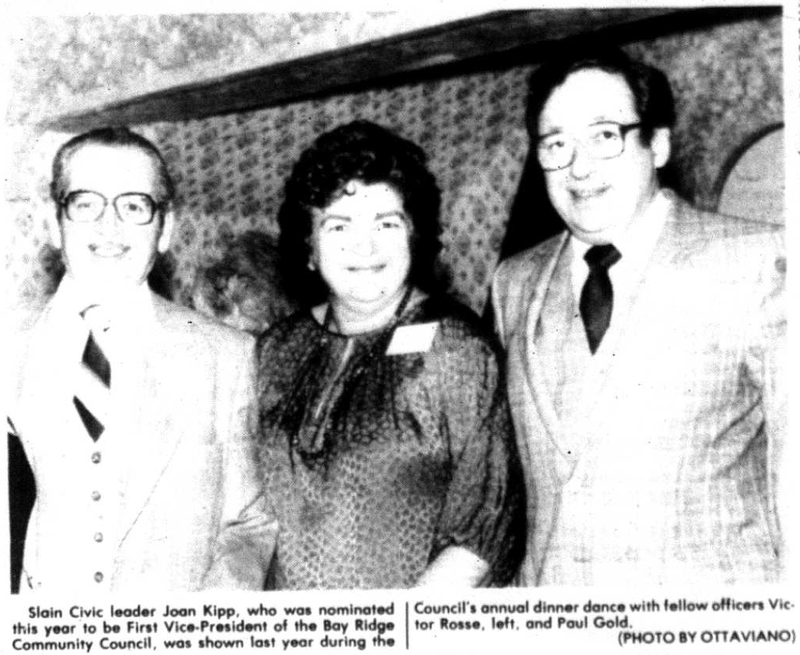 Kipp was 54 and worked for the Board of Ed, supervising guidance counselors in the local school district, which encompassed Bay Ridge as well as Bensonhurst and Borough Park. 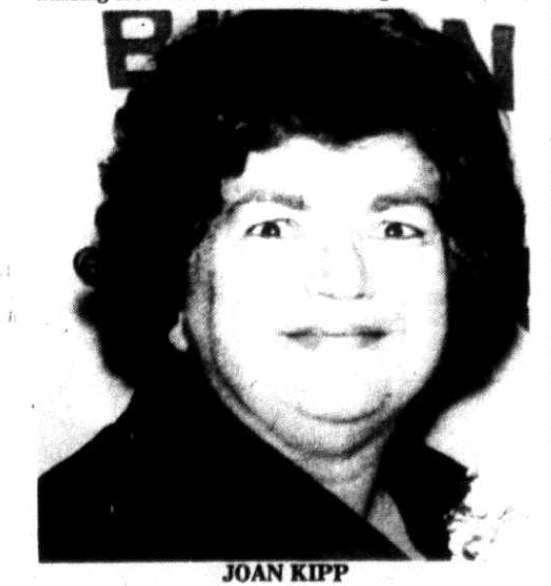 She was active in the community: she volunteered for the local outpost of the South Beach Psychiatric Center, and she was treasurer of the Bay Ridge Community Council, an umbrella organization of local nonprofit associations that promotes the neighborhood. She was running for vice president and was expected to win. Among the mail that day was a package, addressed to her. 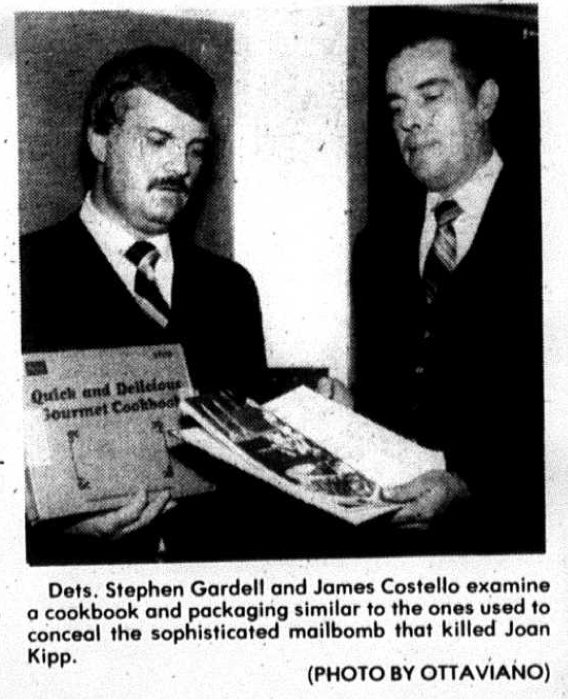 She opened it, and inside was a cookbook, smaller than a phonebook, from Sears: the Quick and Delicious Gourmet Cookbook. 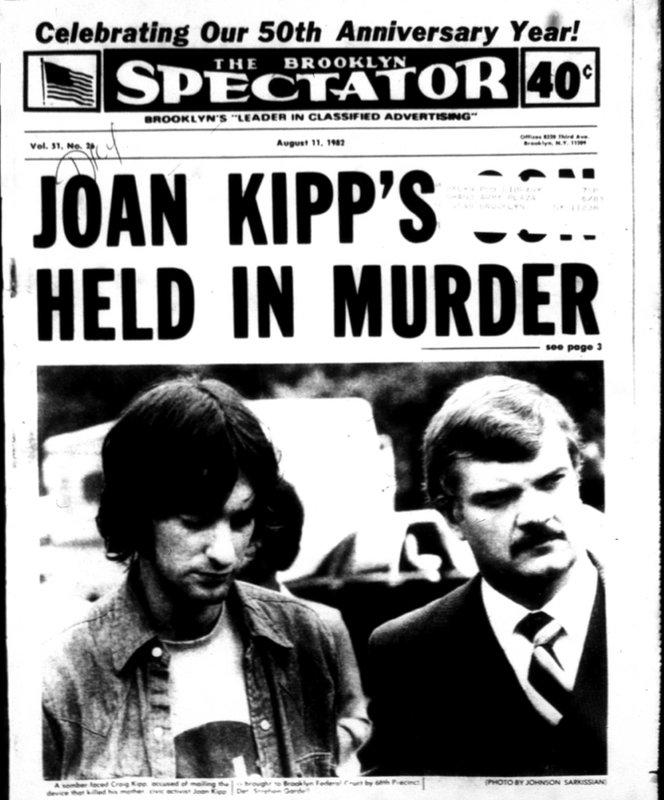 Joan Kipp loved to cook. She thought it was a Mother’s Day gift. She lifted the cover. In each stainless tube was a bullet whose base had been removed, exposing the gunpowder. The filament of a light bulb was stuck into the gunpowder. The wires from the battery were connected to the filament, and when the gunpowder was sparked, the tubes served as gun barrels, Mr. Abercrombie said. 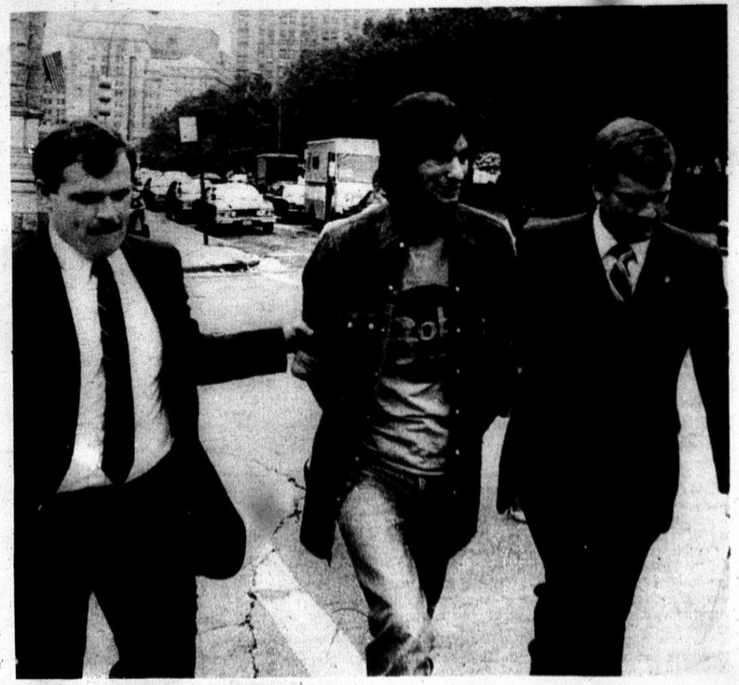 “In Joan Kipp’s case, the lab cops were amazed that all three tubes discharged,” he said. The bullet from one struck the wall; the other two struck Joan in the chest. Shrapnel also “severely wounded” her face and hands. The next attack was 11 years later, in 1993—and several would follow it in relatively speedy succession. The second package was mailed to 278 Dickie Avenue, in the Westerleigh neighborhood of northcentral Staten Island, to Robert Lenza, a retired sanitation worker; relatives brought him the package while he was on vacation to visit family in northeastern Pennsylvania, on the New York border. When he opened it, the bullets struck him; his wife, Connie; and their granddaughter, Liza. They all survived. 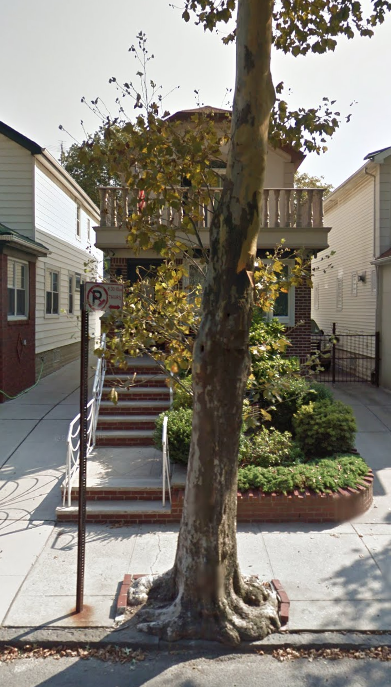 The next package arrived the following year, to 1946 E. 27th Street, in Sheepshead Bay, addressed to Alice Carswell’s brother, who had moved out decades earlier. The 75-year-old woman opened it and was critically injured by shrapnel to the abdomen. 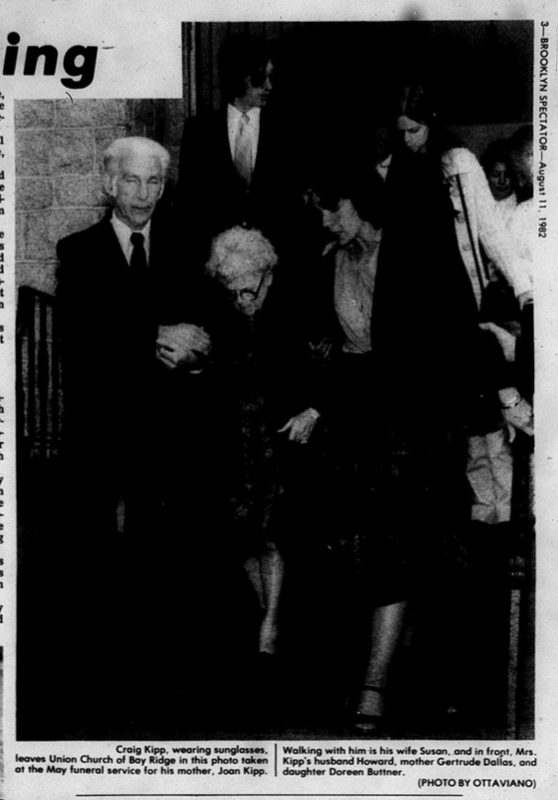 The first two packages had been mailed from Staten Island, but the third was mailed from Brooklyn; the fourth was sent from Manhattan to a home in St. Albans, Queens, where it was opened by a eight-months-pregnant 18 year old, Stephanie Gaffney; doctors induced labor the next day, and both she and her daughter survived. The fifth package was sent to Marietta Basile, of Bath Beach, whose husband Richard, 79, opened it; he wasn’t injured when the bullets fired inside his white-stucco house on Bay 26th Street. “The blast in the Basiles’ kitchen blew a hole through a window and damaged a wall,” the Times reported. “Usually she opens all her mail, but yesterday she was putting things away,” a friend told the paper. “Her husband took a knife, opened the package and he was facing the window and the thing went. They got scared and ran. [T]he devices are the work of a skilled, calculating killer. “Mail bombs are never crudely made,” [a postal inspector] said. “It takes a pretty sophisticated individual to make one. The last major metropolitan newspaper coverage was in 2010, in Al Baker’s police-beat column. …In New York’s cold-case crime files, few have as firm a grip on the collective psyche of city law enforcement officers as the so-called zip-gun bomber. 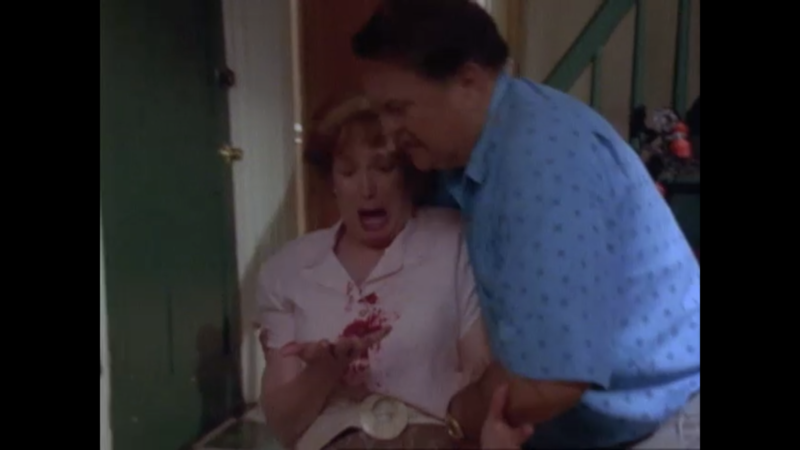 Immediately after Joan’s murder, however, this was just an isolated, weird attack, and police investigated it as they would any murder. Detectives considered organized crime, but ruled it out; they looked at students suspended by guidance counselors that Joan oversaw. Investigators soon settled on her family. The jury-rigged cookbook had a note written on the inside cover: “Howard you’re dead. First Joan, then Craig and Doreen.” Joan’s name had been crossed out. 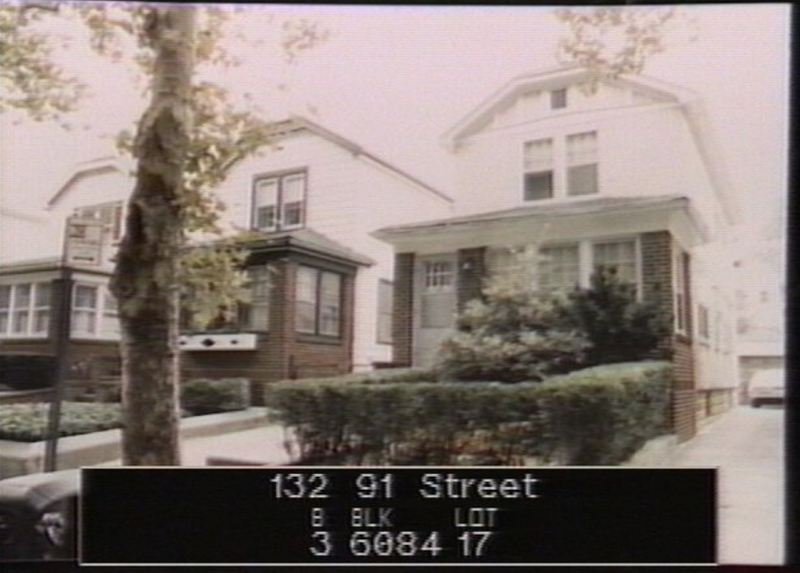 Police laid it out: Craig had been employed by his father, at the family’s marine engineering business, headquartered at 270 54th Street, in Sunset Park, until November 1981. The company “installed electrical lines into ships’ boiler rooms,” the Spectator reported, which police alleged gave Craig the technical know-how to have fashioned the sophisticated weapon. Plus, his handwriting samples matched handwriting samples from the package and note, an expert alleged, and Craig refused several times to submit to a polygraph test. Also, “a dog trained in sniffing human scents…matched a piece of Kipp’s clothing to the bomb,” the Spectator reported—a 9-year-old German Shepard smelled one of Craig’s socks, then picked the internal mechanism from an array of similar devices. Craig arrived at his arraignment on Friday in blue jeans, with a denim shirt over a orange T-shirt; he was released on $300,000 bail [more than $750,000, adjusted for inflation], secured by his father with the deeds to his house and business. After his scheduled court appearance, Craig walked out with his wife, sister and father, all of whom maintained his innocence. I was 110 percent certain that he was innocent. He was the most peaceful person. There was no hatred, no animosity for his mother. He was a real family guy. He lived around the corner from us. 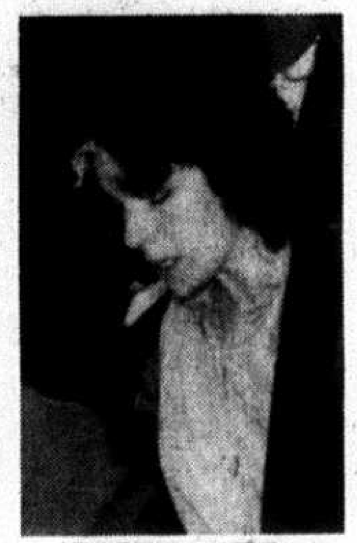 At the time, Howard and Doreen were more forceful in their denials and criticisms of the investigation in an exclusive interview with the Home Reporter, published on August 13, 1982. 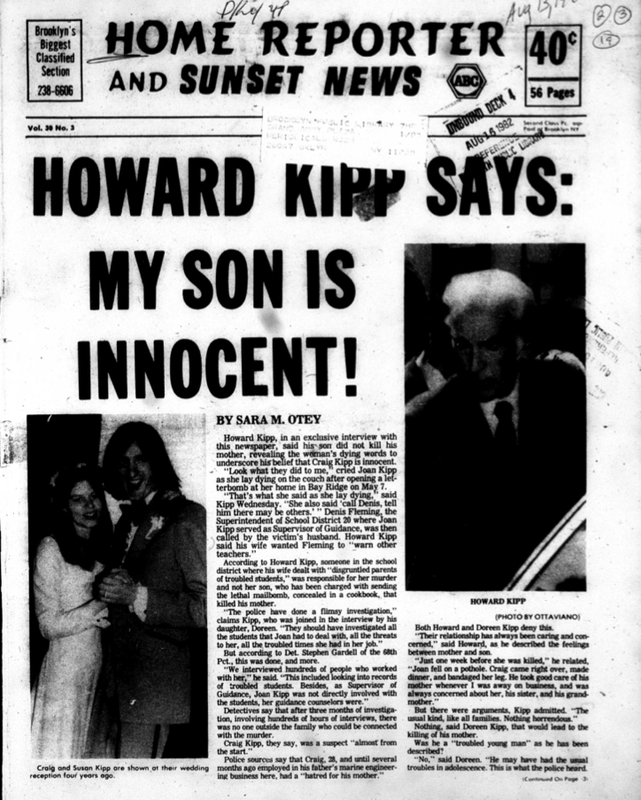 …There were arguments, [Howard] admitted. “The usual kind, like all families. Nothing horrendous.” Nothing, said Doreen Kipp, that would lead to the killing of his mother. Did he use anything else? “Not that I know of. Howard mocked the evidence. As for the handwriting: “They called him down there and kept him there for hours, making him write things over and over again. After a while, anybody’s handwriting could match a note.” As for the sniffing dog: “That’s just plain silly…Besides, that sock was on Craig right before he submitted it to police, and he was wearing it when he set off firecrackers at Breezy Point on the Fourth of July. He was more or less correct: less than a year later, in June 1983, the charges were dropped for lack of evidence, the Times later reported. Charles Abercrombie, who handled the Kipp prosecution before leaving to go into private practice, said the charges were dropped because neither the handwriting analysis nor the dog trainer’s statements were credible enough to prove murder in a court of law. “It’s very difficult to link block lettering to individual people,” Mr. Abercrombie said, adding that other handwriting analysts said they did not find compelling similarities between the block letters on the note and samples of Mr. Kipp’s writing. The credibility of the dog trainer was also in question, Mr. Abercrombie said. The next zip-gun “bomb” wouldn’t be arrive for a decade. After being freed, Craig moved away. Before his mother died, he’d been planning to move to San Diego with his wife, who had been offered a transfer by the publishing company for which she worked. But the arrest derailed those plans. The Daily News last tracked him down, in 2002, living in Connecticut, laid off from a job as a foreman at a computer plant, working as a clerk in a 7-Eleven. 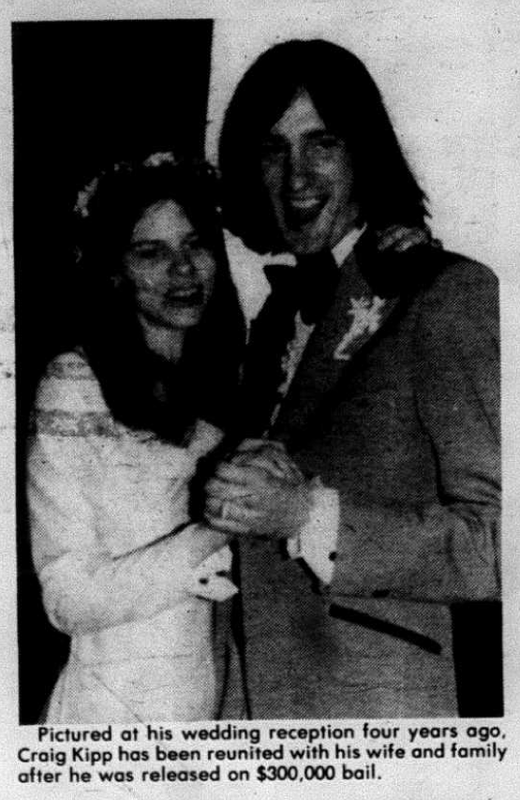 Howard eventually remarried and moved to Massachusetts. He “said he still waits for closure in the killing of the ‘woman I loved dearly,’” the News reported in 2002. Joan believed the assailant to have been connected to her job; one of the last things she said to Howard was, “Call Denis,” the superintendent of the school district, so he could warn other teachers and educators. 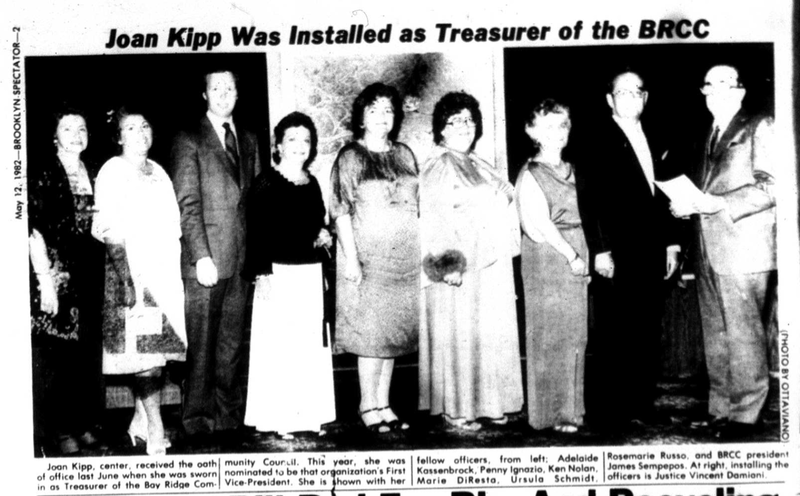 Someone in the community was jealous of Joan Kipp, her husband maintains. Or someone was unhappy with her decisions in the school system, or it was a former student, a disgruntled parent. Someone wanted to scare her, to know the threat to her children would be taken seriously. They wanted her to live under a threat. …”Anybody could have done it. She was well known, she dealt with troubled students, with their suspensions, their transfers,” insisted Kipp. At the time, Steven was in federal custody in Beaumont, Texas, doing 90 months for possession of ammunition by a convicted felon. He was released on March 25, 2005, according to federal records. He’s now 64 years old. Whoever he was, the Zip-Gun Bomber has never been caught.